‘It is the opinion of all observers in the hospital, in the school rooms, of the parents and other guardians that the children were always somewhat improved by the [electric shock] treatment inasmuch as they were less disturbed, less excitable, less withdrawn, and less anxious. They were better controlled, seemed better integrated and more mature and were better able to meet social situations in a realistic fashion. They were more composed, happier, and were better able to accept teaching or psychotherapy in groups or individually’. In 1955, Bender reported on how she had administered 20 shock treatments to a child under three years old, who was on the children’s ward at New York’s Bellevue Hospital. Bender eventually administered this “treatment” to more than 500 children, and enjoyed a career as one of the most honoured psychiatrists of her time. ‘I was six years old [in 1944]. My mother had been locked up in a mental hospital just before I was born, and I was in a ward of the state. A psychiatrist at Bellevue Hospital in New York, Dr. Lauretta Bender, had just begun her infamous series of experiments with shock treatment on children, and she needed more subjects. So I was diagnosed as a “childhood schizophrenic,” torn away from my foster parents, and given 20 shock treatments… I was dragged down the hallway crying, a handkerchief stuffed in my mouth so I wouldn’t bite off my tongue. And I woke [after the shock treatment] not knowing where I was or who I was, but feeling as if I had undergone the experience of death. After four months of this, I was returned to my foster home. Shock treatment had changed me from a shy little boy who liked to sit in a corner and read to a terrified child who would only cling to his foster mother and cry. I couldn’t remember my teachers. I couldn’t remember the little boy I was told had been my best friend. I couldn’t even find my way around my own neighborhood. The social worker who visited every month told my foster parents that my memory loss was a symptom of my mental illness. A few months later, I was shipped to a state hospital to spend the next 10 years of my life’. 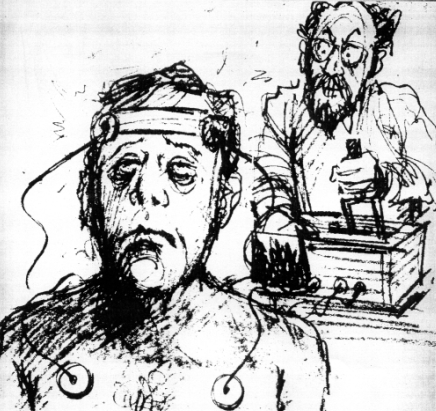 ‘It would be bad enough if electroshocking children simply constituted a footnote in US psychiatry’s history, but psychiatrists’ willingness to inflict brain damage on children continued after Bender’s death in 1987. Advocates for this practice are now targeting autistic children as a group that could benefit. 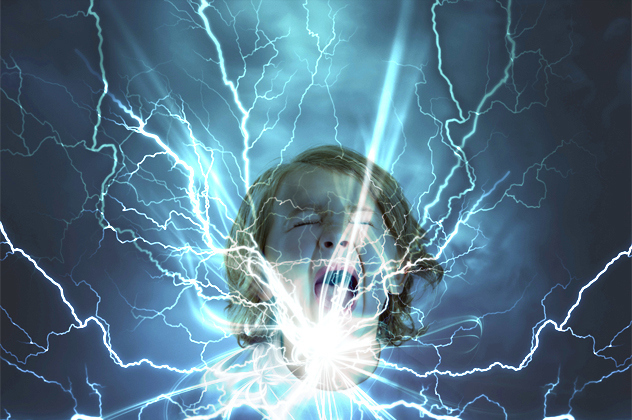 At least four electroshock psychiatrists have promoted the notion of using ECT to “treat” such children. Psychiatrists Dirk Dhossche and Sara Stanfill of the Department of Psychiatry and Human Behavior at the University of Mississippi Medical Center in Jackson recommended the pursuit of ECT research on autistic children in 2004, and in 2009, psychiatrist Lee Wachtel of Baltimore’s Kennedy Krieger Institute reported on “the first documented case of a young autistic child who successfully improved self-injury behaviors after receiving ECT.” The experimental subject was an 8 year-old-boy. Shocking children is not limited to the United States as demonstrated by one recent example from Australia. On January 25, 2009, the Herald Sun, reported, “Children younger than four who are considered mentally disturbed are being treated with controversial electric shock treatment.” In Australia, the use of electroconvulsive therapy (ECT) is increasing, and the Herald Sun’s report on “Child Shock Therapy” stated that last year “Medicare statistics record 203 ECT treatments on children younger than 14 — including 55 aged four and younger”. The article also says that the Western Australian government was moving to ban electroshock for children under age 12′. ‘Anecdotal evidence suggests that the use of electroshock on children may be more widespread within the USA, Canada, and part of Australia, than in the UK. However, real comparisons require the analysis of statistics. These statistics are either not kept or are not released to the public within most jurisdictions around the world, thus precluding an ability to raise awareness on this issue worldwide. Without publicly available reliable statistics, we can neither claim that it is a rare phenomenon nor that is widespread’. The above mentioned article examines the controversial and largely publicly undocumented practice of administering electroconvulsive therapy (ECT or electroshock) to children who are undergoing psychiatric treatment. 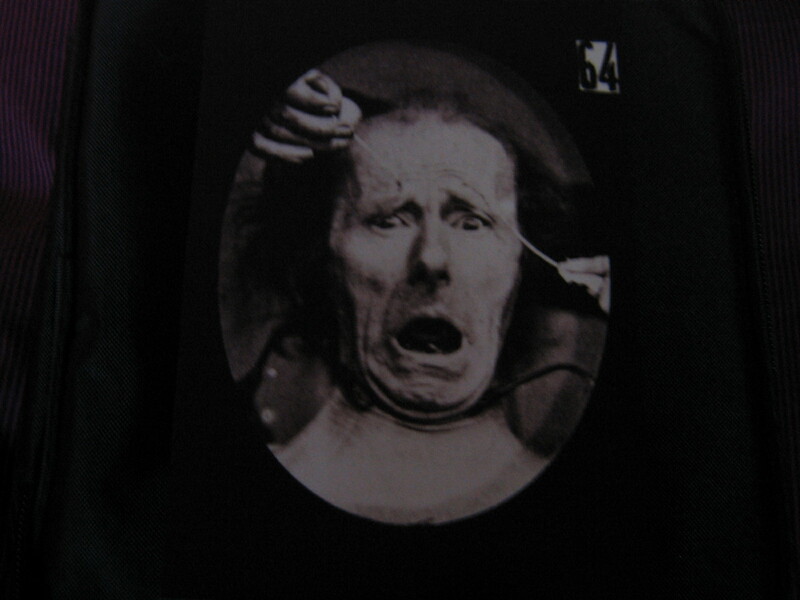 Conventional psychiatric beliefs and practices are challenged, along with a presentation of the history of scientific research which questions electroshock’s ‘effectiveness’ and outlines its brain-damaging and incapacitating effects. As such, the article provides counterarguments regarding the legitimacy of ECT as a treatment option for children, whilst underscoring and upholding the medical ethos ‘to do no harm’ and to ensure the application of children’s rights within the psychiatric system. I am reminded of a song that Bono, the lead singer of U2, wrote which was entitled ‘The Electric Co.’ (which stands for electro convulsive therapy) and was released in 1980. The song was written after Bono visited a school friend at Dublin”s St. Brendan”s Psychiatric Hospital where he had just undergone electroshock. if you could reply or acknowledge my suggestions to make this website more content oriented .